Are you managing the growth of your franchise? You’ve got an established franchise business and you’re recruiting more franchisees. That’s good news of course, but how do you train your growing number of franchisees? How do you know your franchisees are following your model correctly? How do you know the quality you’ve strived for is being delivered in every part of your network? You’ve most likely got onboarding training for your new franchisees. But it’s human nature that we find it hard to remember everything we’re told up front. Learning is most effective when it’s implemented, and that may happen at some point after your franchisees have come on board. Using e-learning allows your franchisees to jump online, 24/7/365 and engage with essential training when they need it most, making it much more likely that the learning will be implemented and change behaviours and actions. For example, you might be rolling out a new campaign to recruit customers and be using social media to promote it. Or you might be introducing a new IT system, e.g. for customer management or bookings, and you need to train your franchisees how to use it effectively. Tailored e-learning can help train your franchisees in targeted topics that are made available to them when they need it most. E-learning can also help ensure franchisees are delivering your business model effectively and to the quality standards you expect. You most likely have a manual (or several) explaining your model and standards. But does it really bring to life the passion that you put into establishing your successful business? E-learning using the right mix of graphics, video and questions can really enliven your training, making it easy to digest and increasing engagement. How can iflourish help you? Our learning platform, Course Builder, enables you to create and publish learning content rapidly and distribute it to whoever in your franchise network needs it, whether it’s individuals, groups or your whole network. Course Builder is branded using your logo, brand colours and fonts so that your franchisees know that it’s part of your online presence. You can test franchisees’ knowledge through a wide range of question types, set pass marks where necessary and reward them with points and branded certificates. Watch our short video below to find out more about Course Builder. You may be new to e-learning, but that’s no problem as we also deliver an effective onboarding process that will help you get up and running quickly and successfully. We’ll train you how to use Course Builder, although we think you’ll agree it’s so simple you won’t need much training, and we’ll work with you on your learning strategy to identify what learning to prioritise and how to develop it. You may be surprised to hear that you already have the skills in-house to create and publish effective e-learning. We help many businesses uncover their natural creative talents. The award-winning Puddle Ducks franchise started using Course Builder in 2014. Without any prior expertise or graphics skills, they have produced over 60 of their own courses on a wide range of topics. Want to boost your growth? 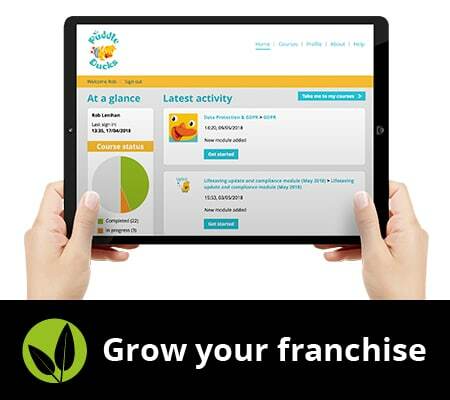 If you want to boost your growth and help your franchisees flourish get in touch with Frankie O’Brien at frankie@iflourish.co.uk for a free demo and trial. 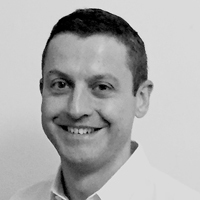 First published on the Franchise Supplier Showcase in August 2018.